26-year-old Matthew Gilson was at work when a lithium-ion vape battery caught on fire in his pocket. Surveillance footage from his workplace shows him running away in a huge cloud of smoke as the fire caused first, second, and third-degree burns on his hands and legs. The battery was not in the vaporizer at the time that it caught fire, which means that it’s safe to assume that he was carrying it around loose in his pocket and that it touched another metal surface, such as coins or keys, which caused the fire to start. He has received multiple skin grafts and the recovery is expected to take months. Hopefully Matthew can recover soon from what he described as “the most painful experience my life”. While it’s hard to criticize someone who just underwent such a painful experience, it’s important to note that these incidents, just like mech mod explosions, can be prevented by following simple safety precautions. I’m sure his lawyer, who is attempting a class action lawsuit, will be disappointed when he learns that you can’t win a lawsuit over something that was caused by user error. 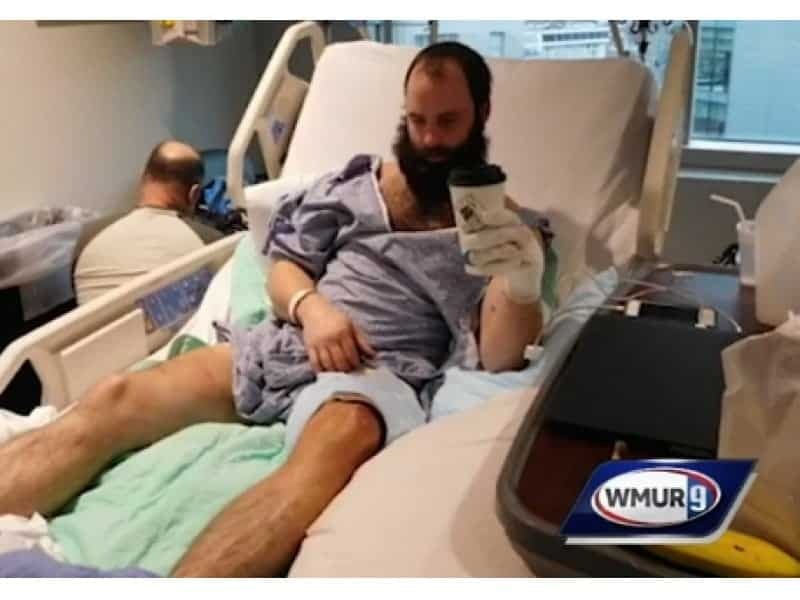 If he would have carried his loose battery in a simple battery case, which can be purchased on Amazon for basically nothing, he wouldn’t be in the hospital right now. Li-Ion batteries are unprotected, and while people are used to AAA batteries which are basically indestructible, these batteries can be very volatile and should be treated with care. Should battery manufacturers be held responsible for fires caused by user error? Yes. They should be forced to pay up for any injuries caused by their product, no matter what the cirumstances. No. They shouldn't be held responsible for injuries that are caused by user error.